Measure square footage quickly and conveniently. Simply roll this great tool over the carpet, width and length. Multiply and you have square footage. Two wide, precision molded tires provide accurate measurements on any smooth surface. Counter with reset switch reads to 1 inch increments. 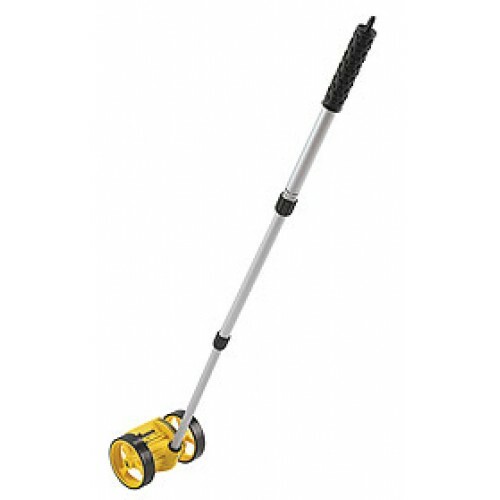 Three-section aluminum telescoping handle quickly collapses with twist motion for easy storage.